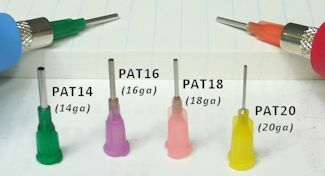 Purchase individally or as a set. 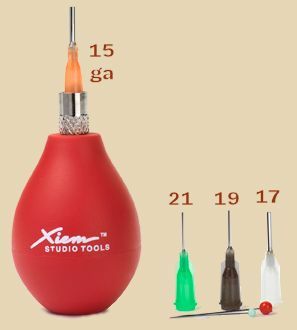 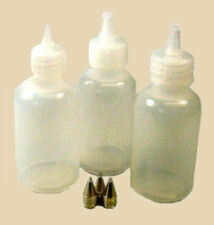 The set includes 4 bottles (one of each size) with cap connectors, tips, cap locks, 10 labels, 2 pin sizes, and 4 bonus precision tip caps. 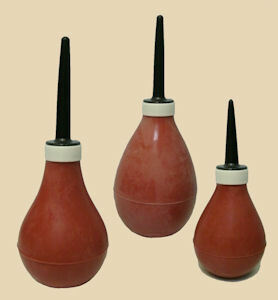 Old-school pottery tools get new life with soft rubber bulbs and removable tips. 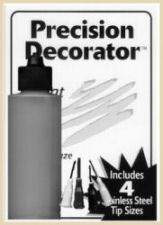 Get precise control of your glaze stream for trailing, writing, and other decorative techniques. 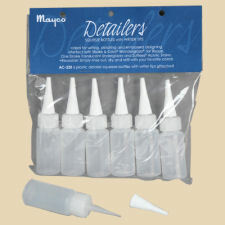 Bottles and needles sold separately. 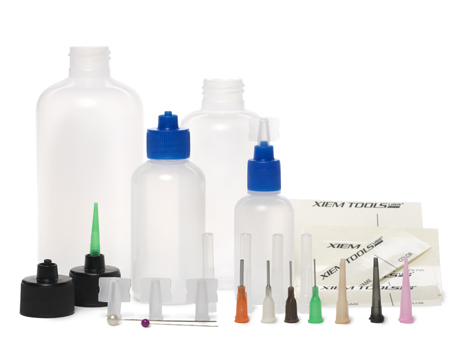 Buy one bottle for each color you use, and you don't have to worry about cross-contamination between pigments, glazes or slips. 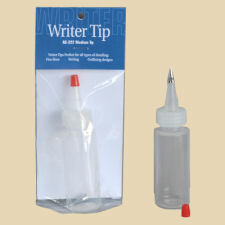 Similar to the SGT bottle with the FCA and UA tips above, but the tips for these bottles are much shorter than the FCA's and UA's needle-like pen tips. 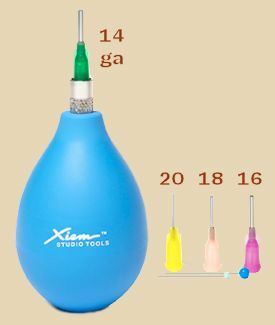 Four interchangeable tips allow intricate drawing with underglaze, slip, wax resist or acrylics. 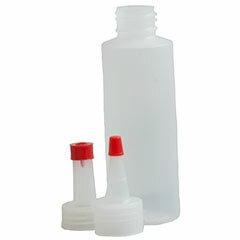 Cap fits many commercial color product bottles, too.